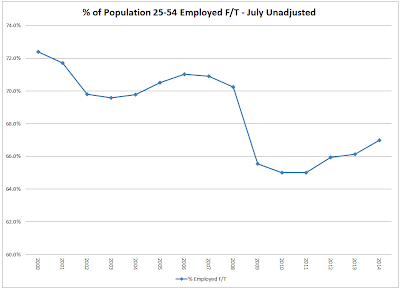 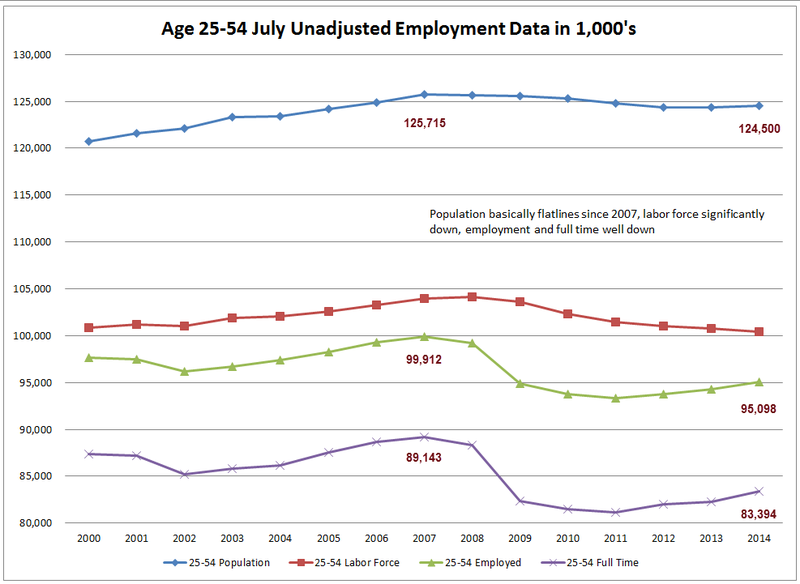 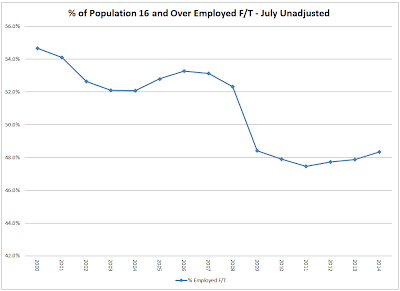 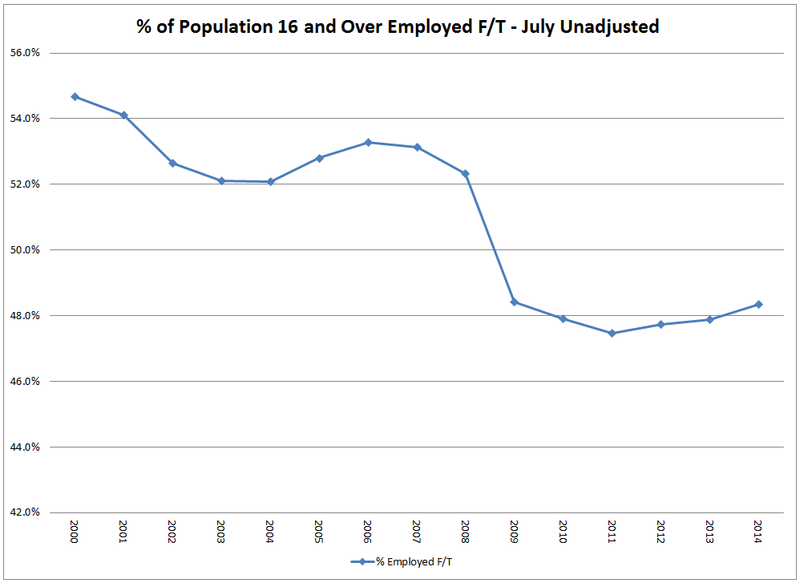 Here's a series of charts from reader Tim Wallace on various aspects of employment, labor force, and population. 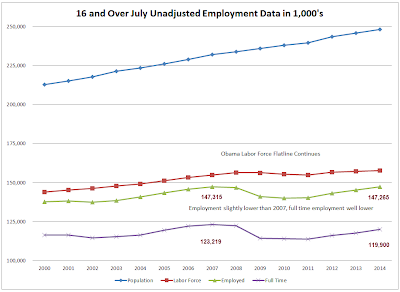 The charts use seasonally unadjusted data, July of 2014 compared to July in prior years. 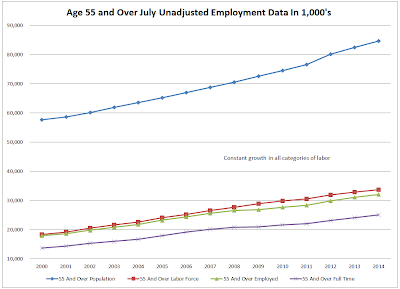 Because of the aging workforce, the first chart in each series has a slight negative bias. 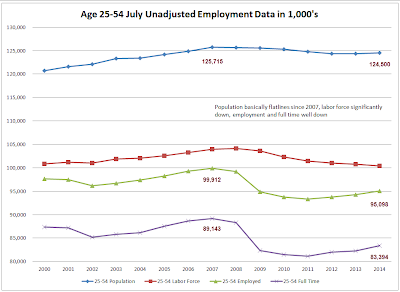 For example: Note a relatively small decline in population in age group 25-54 from 125,715,000 to 124,500,000. 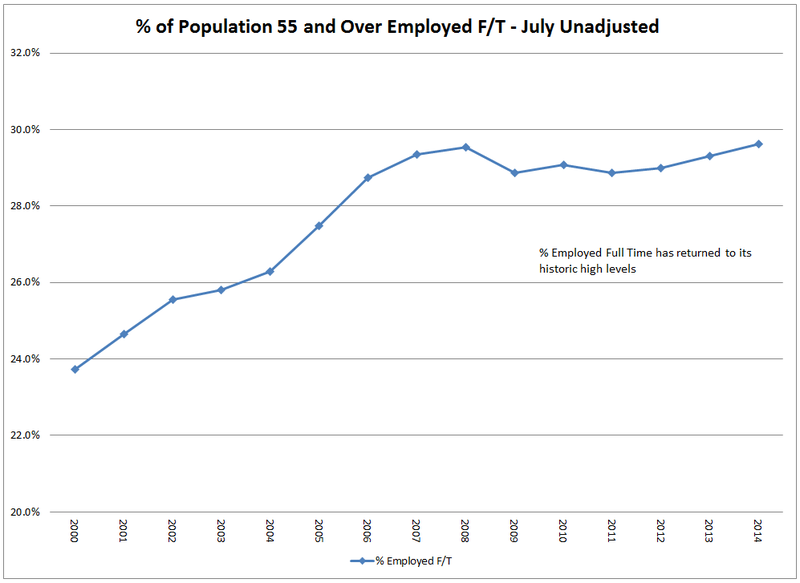 That decline accounts for 1,215,000 of the drop in full-time employment from 99,912,000 to 95,098,000 (a drop of 4,814,000). 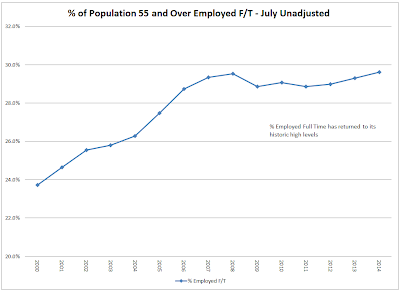 The normalized drop in full-time employment is thus 4,814,000 - 1,215,000 or 3,599,000 which is still a pretty damning statistic. 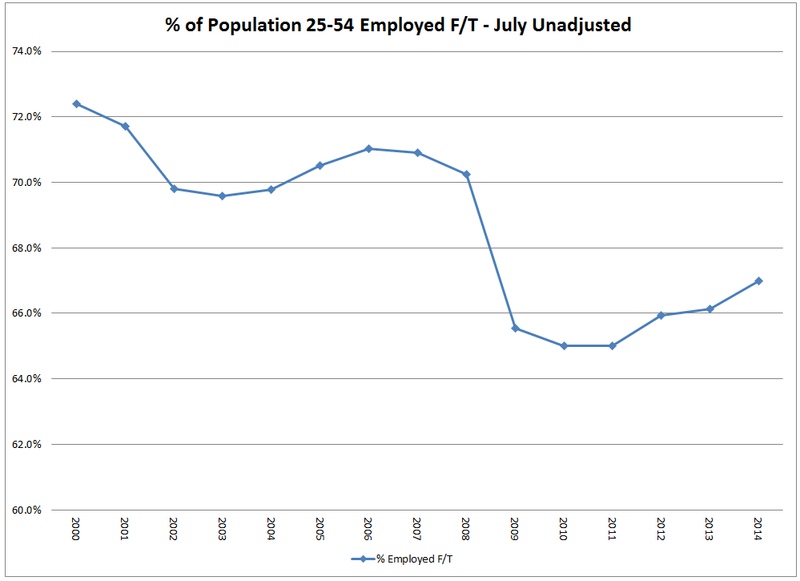 Here's another way of looking at things: Only 25% of the decline in full-time employment in the 25-54 age group can be attributed to the aging work force. 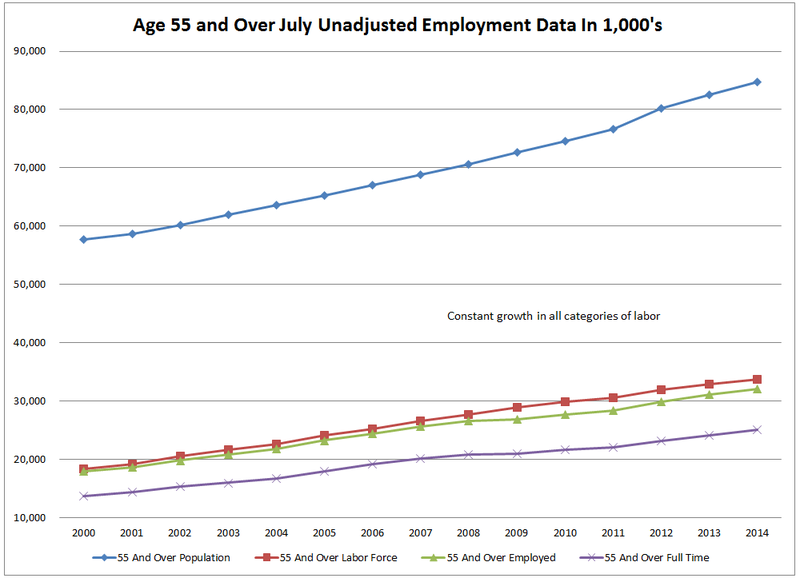 The rest is overall economic weakness. 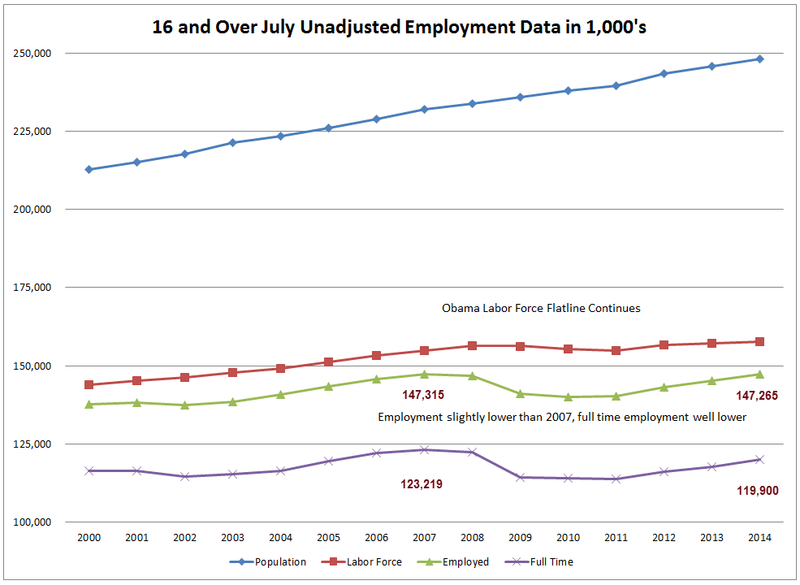 The second, fourth, and sixth charts showing percentage changes provide an overall accurate view.